The Avg. Group Discount is 40.7%! In the heart of downtown's business district and just steps from Houston's renowned cultural attractions, luxury Four Seasons Hotel Houston blends warm sophistication with Texan charm. In addition, every Friday and Saturday night, The Main Event heats up as Main Street turns into a pedestrian-friendly street party that includes live music and a great assortment of eateries, dance clubs and hip bars. During the day, take a trip on METRORail, which is just three blocks from Four Seasons and connects to Houston's internationally renowned museum district, the Houston Zoo and much more. I have stayed at Four Seasons Houston for at least 10 years as I participated in the Houston Marathon. I love the staff, the property and the location for the races. Y'all have changed a lot over the years and have always been extremely family friendly. Although, you have stopped a few programs (like the red wagon with toys and the cookies and milk for the kids) you are still very family friendly. We stayed in 805 this year and the housekeeper on our floor took really good care of us and even sent a little something special to our 10 year old who was really sick with a cough. You do make each guest feel special and taken care of. We will see you again next year, Elizabeth. 23-Jan-2019 Verified Review, stayed from Fri Jan 18 to Mon Jan 21 2019 at a $266.67 average nightly rate. 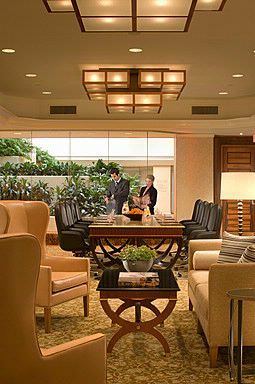 Four Season hotel Houston is the ultimate setting for gatherings of all kinds- big or small, with family, friends or colleagues. Here, in the heart of Houston and just steps away from the city's most acclaimed outdoor playgrounds, the Hotel is bringing bold Texan hospitality to life in ways only Four Seasons can. Join us at the all-new Bayou & Bottle lobby bar or take a swing inside the Topgolf Swing Suites. The outdoor pool at Four Seasons Houston offers a luxury resort experience unlike any other, right in the heart of our bustling city. With sweeping views of the Houston skyline, Houston's best pool is lined with live oak and palm trees and boasts Brazilian ipe wood decking, Turkish travertine tile, a soothing water wall, a hot tub, and a fire pit ideal for family gatherings and romantic getaways. Designed for maximum relaxation and enjoyment, the Pool at Four Seasons Houston is a veritable urban oasis. Our resort style pool is open from 6:00 AM to 10:00 PM everyday of the week. We welcome pets with special pet procedures followed. 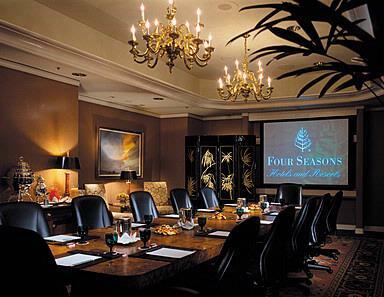 Four Seasons Hotel Houston is easily accessible by air from anywhere within North America and far beyond. Houston's George Bush Intercontinental Airport is 30 minutes away from the Hotel and is served by all major airlines. A major hub for international flights to and from South America, Europe, the Middle East, Africa and Asia, airlines with international direct flights include: United, Air France, British Airways, ExpressJet, Lufthansa, Emirates, Turkish Airlines, AeroMexico, Air China, KoreanAir, Qatar Airways, KLM, Singapore Airlines. Direct domestic carriers include: United, US Airwaus, Southwest, Delta, JetBlue, Frontier, Spirit Airlines. Additional direct service from carriers All Nippon Airlines, EVA Air, Volaris and WestJet will commence in 2015. William P. Hobby Airport is 20 minutes from the Hotel, and served by Southwest, American, JetBlue and Delta, with international service from Southwest. Local Shuttle Info: A courtesy car is available for transportation within the downtown business district and to the Medical Centre. Every Saturday from 10:00 am until 3:00 pm complimentary transportation will be provided to the Galleria shopping center, based on availability. The Galleria is the largest shopping mall in Texas and home to Nordstrom, Saks Fifth Avenue, Tiffany & Co, Louis Vuitton and many more retailers. Please contact our Concierge at for all other Town Car service. Enjoy breakfast in our restaurant, lobby bar grab and go or stay in for some in-room dinning. The Four Seasons offers valet parking starting at $38 for overnight parking. This includes unlimited in and out privileges. We offer complimentary basic wireless internet in our guest rooms. There is a upgrade version available for an additional $17.99/24 hour period. 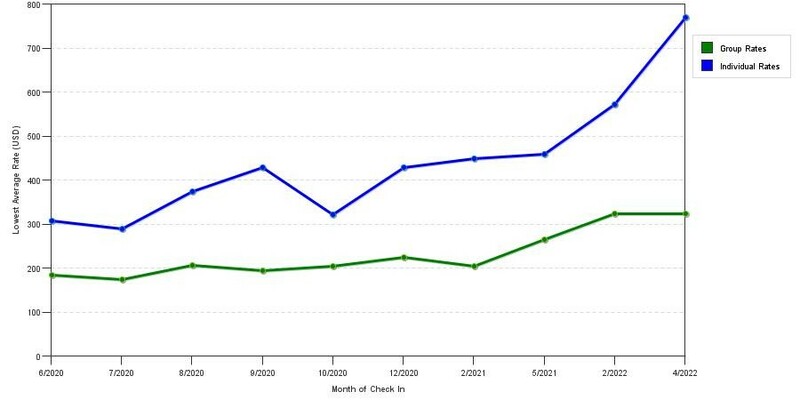 Above shows fluctuations of room prices for both group/meeting prices and the lowest individual traveler prices we could find at the time the group/meeting bid was submitted. The most competitive group discount displayed is 51.8% in the month of October 2017 and the highest average individual rate is $383 in the month of October 2017. This chart will show past seasonality and also project future months. 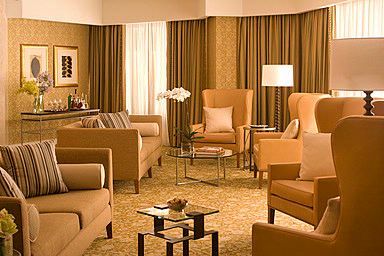 If you are flexible with dates, you may want to consider staying at Four Seasons Hotel Houston in a month when rates are lower. 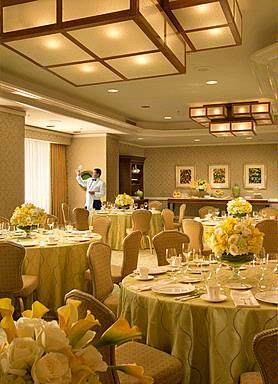 Below are the meeting, banquet, conference and event spaces at Four Seasons Hotel Houston. 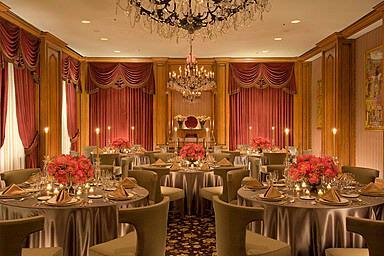 Feel free to use the Four Seasons Hotel Houston meeting space capacities chart below to help in your event planning. 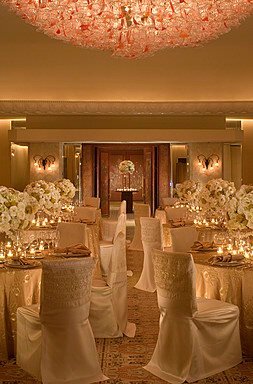 Hotel Planner specializes in Houston event planning for sleeping rooms and meeting space for corporate events, weddings, parties, conventions, negotiated rates and trade shows. 86 x 56 x 10 Ft.
56 x 43 x 10 Ft.
86 x 32 x 9 Ft.
60 x 28 x 9 Ft.
49 x 26 x 8 Ft.
46 x 27 x 8 Ft.
38 x 23 x 8 Ft.
19 x 30 x 8 Ft.
34 x 17 x 8 Ft.
21 x 20 x 8 Ft.